OTTAWA, ON – Beer Canada, an industry advocacy group representing member breweries from across the country, has announced the launch of a new campaign intended to educate consumers on the importance of responsible drinking. 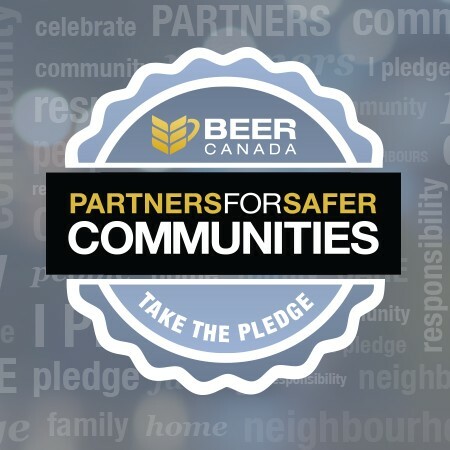 Partners for Safer Communities is a collaboration of brewers, licensees and retailers across Canada to ensure beer is sold and consumed responsibly via the distribution of educational materials and discussions with customers. “Brewers encourage responsible use through diverse programs and partnerships. We’re proud of our products and our leadership role in promoting their responsible enjoyment,” said John Sleeman, Chairman of Beer Canada, in a statement announcing the campaign. For more information and to take on online responsible drinking pledge, visit the Partners for Safer Communities website.